Do not forget to add tent accessories! The options are endless. Add lighting, flooring, walls, chandeliers or even colorful LED lighting. The available colors are limitless. 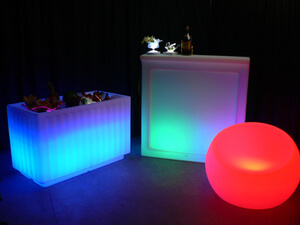 You can even change the color at your event with a remote control. Combine or alternate colors to achieve the effect that is stunning. 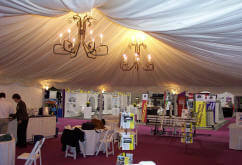 Led tent lighting is very limited in availability. Please order early! Tent Sidewall Rentals, Solid White $20/20ft. 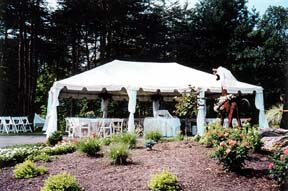 Tent Sidewall Rentals, French Window $30/20ft. 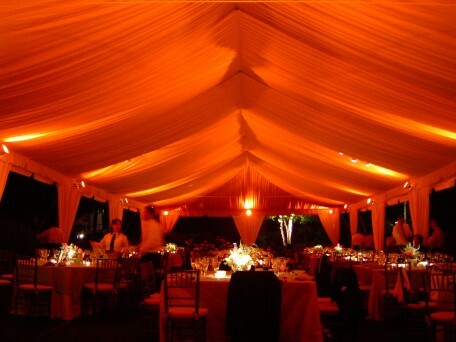 Tent Liner Rentals, 40' wide (for FRAME tents ONLY) $.50/sq. 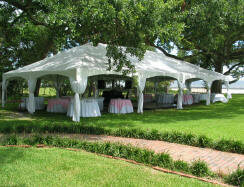 ft.
Tent Liner Rentals, 20' wide (for FRAME tents ONLY) $.50/sq. ft.
Uplighting, EZ Par 64, many colors $25/ea.